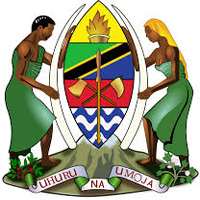 Tanzania Rural and Urban Roads Agency (TARURA) is an Executive Agency of the President’s office Regional Administration and Local Government, (PO – RALG), established under Section 3 (1) of the Executive Agencies Act. (Cap.245) by order published in Government Notice No.211 dated May 12, 2017; and was inaugurated on July 02, 2017. Tanzania Rural and Urban Roads Agency (TARURA) is vested with the responsibility of managing the development, rehabilitation, maintenance, axle load control; environmental and road reserve management of rural and urban roads network for the socio-economic development of Tanzania. The Chief Executive intends to recruit self-motivated, qualified and competent Tanzanians to fill the following vacant posts on temporally contracts.